Arieh Merzer was born into a Hassidic family. He was attracted to art from a very young age, but his family opposed it. He left his parents at the age of fifteen and learned the techniques of sculpting bas reliefs, a tradition that dates back to Biblical times. In 1927, he graduated from the Academy of Fine Arts in Warsaw and studied under the professor Adam Richtarsky. 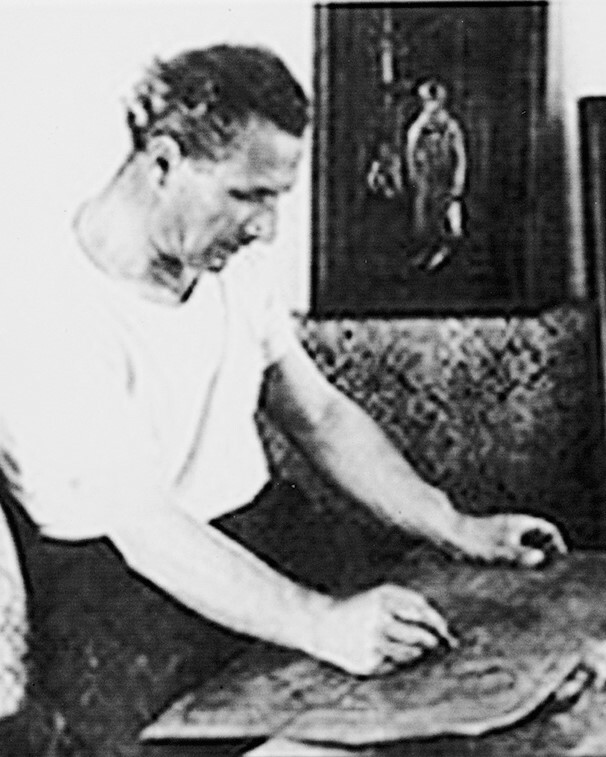 Merzer exhibited his work for the first time in Warsaw in 1928 and arrived in Paris in 1930. He regularly exhibited his work at the Salon d’Automne and Salon des Tuileries. 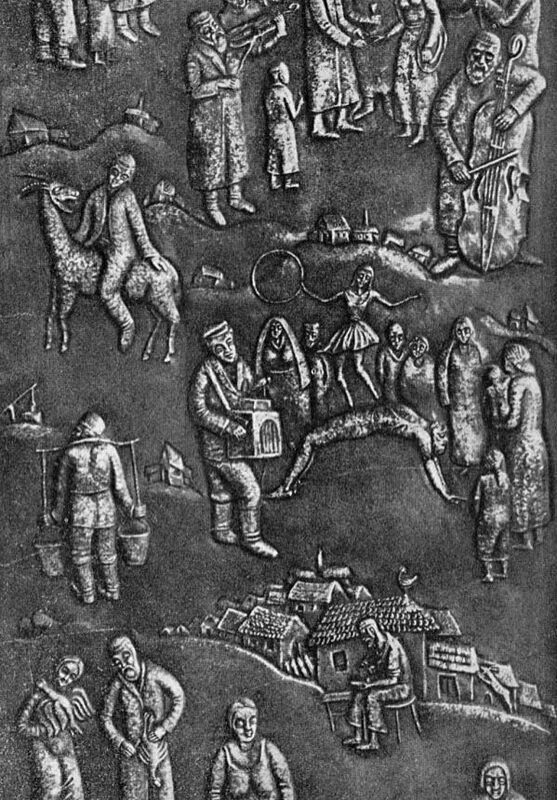 He specialized in hammered copper and represented the Jewish people’s history and spirit at the times of the Bible and the shtetl through his art. He also worked in silver and gold. In 1943, following a trip to Saint-Gervais, he joined the Maquis and escaped to Switzerland. The Swiss authorities first made him work in a labor camp before allowing him to settle in Geneva. There, he earned his living by selling numerous sketches. His entire family died in concentration camps. He was the sole survivor and swore to commemorate the victims of the Holocaust through his art. In 1945, Merzer moved to Israel and settled in Safed, the renowned village of artists in Galilee. He exhibited his work in Jerusalem, Tel Aviv, and Haifa. He was awarded the Hermann-Struck prize in 1946 and the Dizengoff prize in 1951 and 1954.